Bentley University and Gravity Diagnostics said today they will partner on research intended to help doctors assess the likelihood of a patient becoming addicted to a prescription pain drug—and the likelihood of an already-addicted patient responding to a given treatment. Bentley University and Gravity Diagnostics said their three-year research partnership will examine individuals' DNA to determine how susceptible they are to becoming dependent on opioids based on genetic makeup, as well as assess how responsive those individuals will be to opioid and non-opioid therapies. 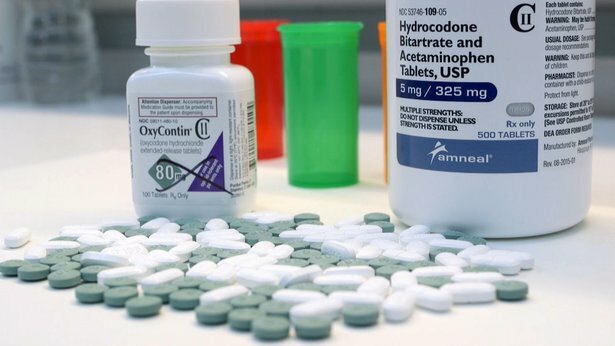 The results could impact on whether doctors prescribe opioids for pain to certain patients, how much they prescribe and how they treat those who are addicted, Bentley University and Gravity Diagnostics said. Gravity Diagnostics is a full-service, state-of-the-art CLIA laboratory based in Covington, KY, and licensed in all 50 states. Gravity is funding the research with Waltham, MA-based Bentley through a $360,000 grant. “We hope that by working together we can reduce the number of people becoming addicted to opioids,” Gravity Diagnostics CEO Tony Remington, MBA, a 1992 undergraduate alumnus of Bentley, said in a statement. Remington '92, suggested the collaboration after reading about the research of Miriam W. Boeri, Ph.D., associate professor, sociology, at Bentley. Dr. Boeri became the university’s first-ever recipient of an NIH grant when she partnered with Aukje Lamonica, Ph.D., at Southern Connecticut State University as co-principal investigators on a $341,565 grant (1R15DA041657-01A1) from the NIH’s National Institute on Drug Abuse (NIDA), intended to fund “Suburban Opioid Study,” a project designed to research opioid use in the suburbs. Dr. Boeri, the author of Hurt: Chronicles of the Drug War Generation (University of California Press), added that the goal of the partnership with Gravity Diagnostics is to identify why some people become addicted quickly while others don't. The research partnership is an extension of Bentley's Health Thought Leadership Network, which is designed to bring together faculty and staff from various disciplines with industry partners to advance health research deemed to have real-world impact. The three-year partnership will include faculty from Bentley's Natural and Applied Sciences, Sociology and Economics departments, as well as a public health geneticist. Chris G. Skipwith, Ph.D., an assistant professor at Bentley who will serve as the project's principal investigator, said the first phase of the research will use data analytics to identify which genetic features in patients are the best predictors of addiction and response to treatment. Once identified, the genetic features and predictions will be tested by comparing them to the DNA of current opioid addicts and those in recovery. “This research has the potential to save lives and reduce health care costs for patients and healthcare systems,” Dr. Skipwith added.